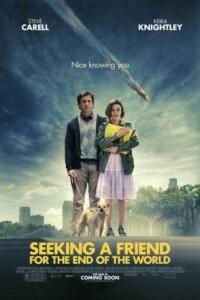 As an asteroid nears Earth, a man (Steve Carell) finds himself alone after his wife leaves in a panic. He decides to take a road trip to reunite with his high school sweetheart. Accompanying him is a neighbor who inadvertently puts a wrench in his plan. A Steve Carell movie that is not a ‘comedy.’ And another, needless, ‘end of the world’ movie of recent.